No doubt my “artist” half got annoyed and bored with my “type-A” half and broke out, if but for a moment, during that very-serious business of planning out a year. 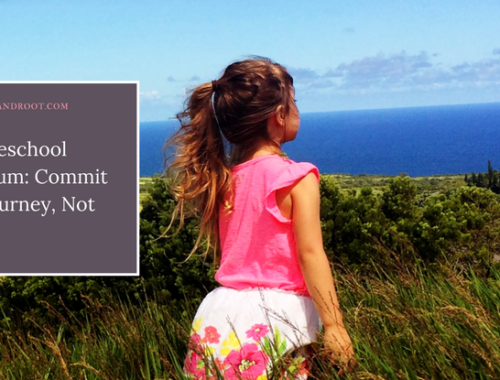 I suddenly recalled this loud, purple statement as I stood at my sink doing dishes, looking out over the endless, tangled, enchanted forests of Haiku, Maui and then over the vast blue of the Pacific ocean. When I wrote that, a year ago, I was buried in a mountain of fleece looking out into the post-Christmas ever-gray of winter setting in over the Rocky Mountains. Well, I’m here to tell you that the belief in declarations still runs strong for me. I declared 2015 to be “the year of adventure and transformation.” In 2015, we left Colorado to go on an 18-month adventure, living first in Hilo on the Big Island, then on the jungly north shore of Maui. 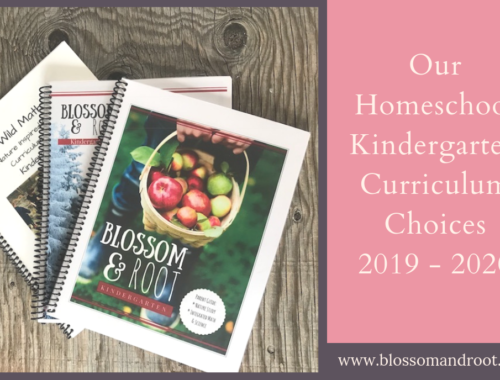 I declared 2016 to be “the year of creativity and unification.” I started Blossom and Root in 2016, the first creative project I ever truly loved, and sold more art than I ever had in previous years. I declared 2017 to be “the year of personal and professional growth.” I left my desk job at a local magazine in March to finally work for myself, from home. It’s January 1st, 2018. I am declaring this year to be “the year of financial freedom and glowing health.” I want to pay off all of our debt and I want to set the stage for some life-changing adventures in the years to come. I also want to take better care of myself and my little family. Not just a better diet, not just regular exercise. I want proper rest, proper downtime, being present. Self-care. The good stuff. For me, declarations are certainly more fun than resolutions. They are also a lot more powerful. The word “resolution” bothers me. It seems to imply that we are flawed, wrong, less-than, and we must struggle forward to fix what’s wrong with us. Declaration lives in action. It’s powerful, it’s lively, it’s playful. It’s about a big picture, and it leaves some room for magic to happen. It keeps the road open, and there is no such thing as failure. This year, I included Blake in my declaration activity. Her declarations? 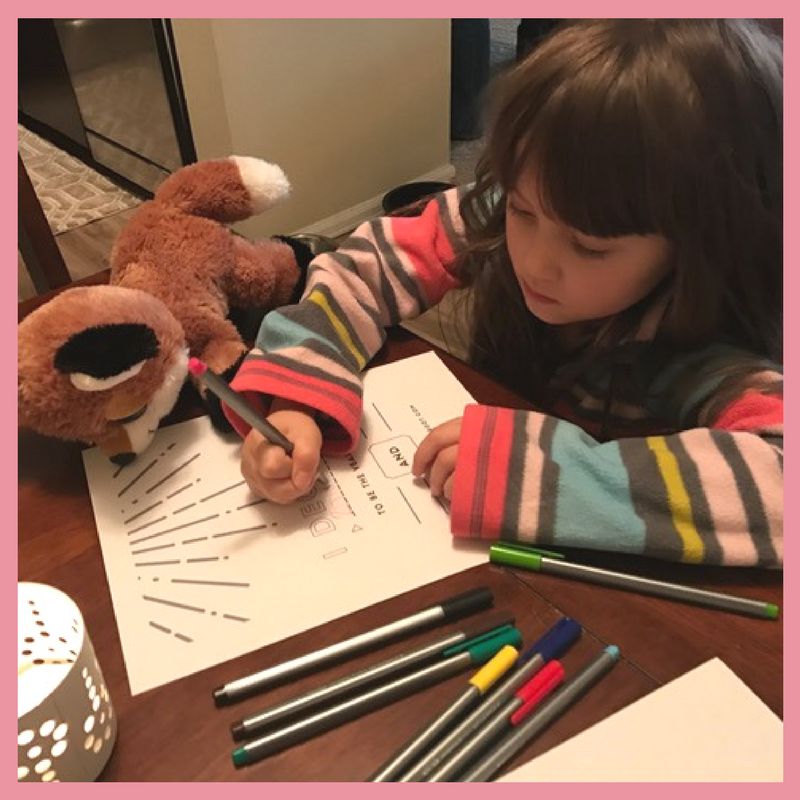 This will be the year of “making toys” and “foxes.” Above all else, Blake wants to learn how to make her own toys and she wants to learn about foxes, her favorite animal. Both admirable pursuits in my opinion. 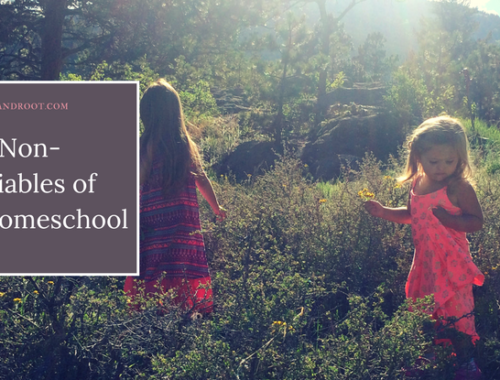 Both full of the promise of wonder, adventure, and joy in learning. What will your declarations be in 2018? What will you call into the great, wide, brand-new year? 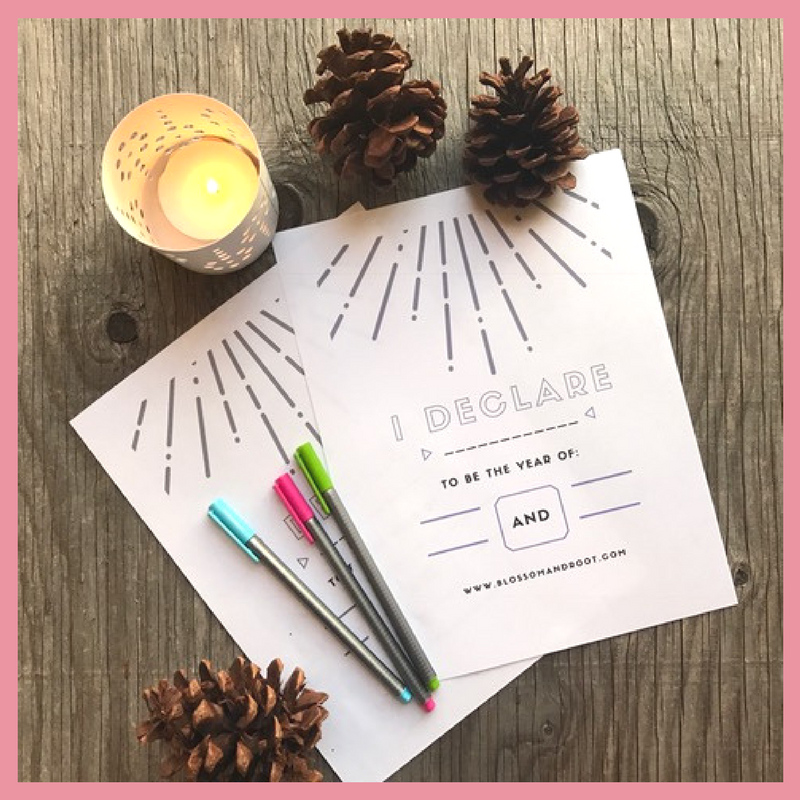 What will you declare for 2018? 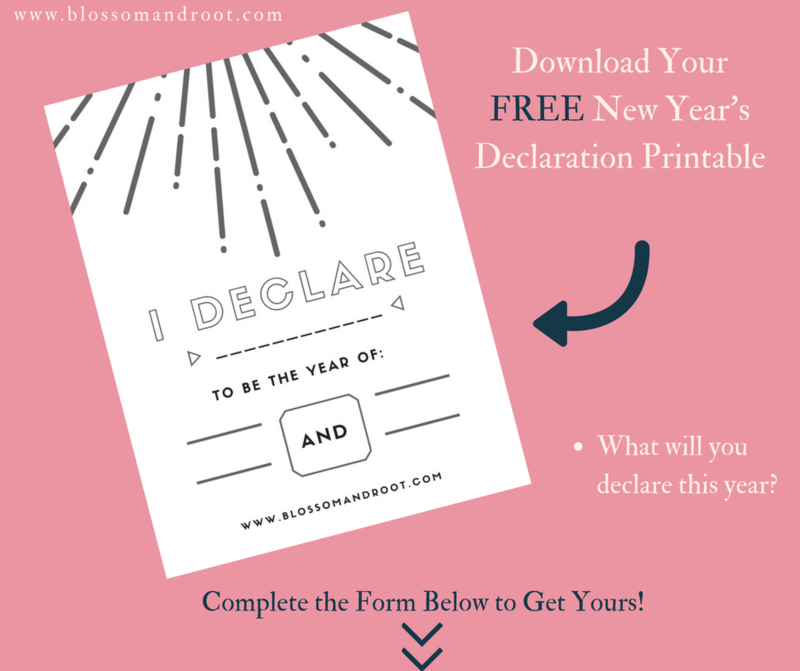 Grab your free printable and make declarations today! 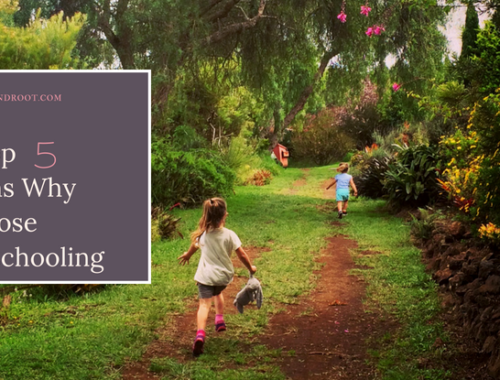 This can be a great writing activity to kick off the New Year!